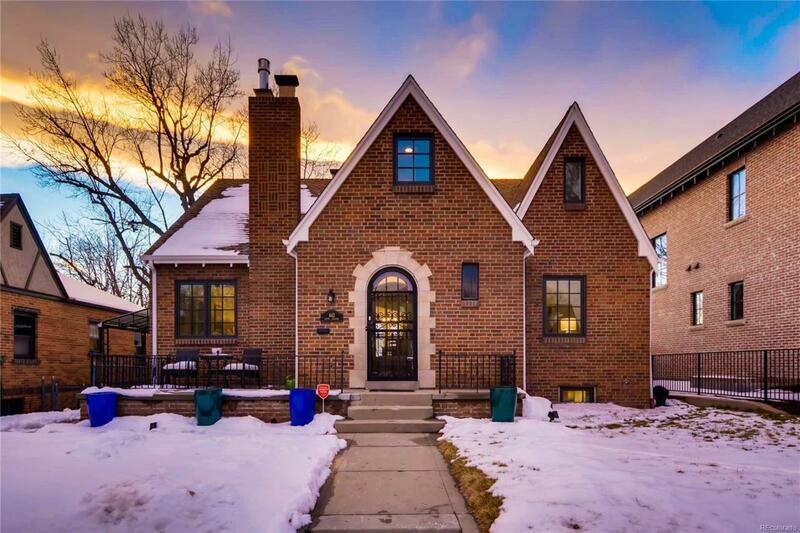 Spectacular Two Story Tudor in East Washington Park. The 1938 charm is still intact, but with modern updates and touches throughout. Home is thoughtfully remodeled w/ newer kitchen and baths. Open floorplan. Charming newer kitchen with stainless appliances. French doors open up to big deck and large backyard. Large master suite on 2nd floor. Fully finished bsmt w/ large family/rec room, extra bedroom w/ egress, and full bath. Charming front porch. 6240 Sq ft double lot. Walk to Bonnie Brae, Old South Gaylord, and even Cherry Creek!